The latest update version 6.22 patch notes seem to indicate that a flying Bumble vehicle is coming to Fortnite. Ever since ol' Kevin the Cube decided to peace out of Fortnite in spectacular fashion, players have been eagerly anticipating the changes his absence might bring. Now, according to leaked patch notes for update version 6.22, it looks like Fortnite may soon play host to its first-ever air-based flying vehicle. Worth noting is the possibility that the Bumble isn't any sort of flying or air vehicle at all. With that said, at least according to the leaked update files (via FortniteNews), it is most certainly a vehicle of some sort, and ought to be landing in Fortnite very soon. 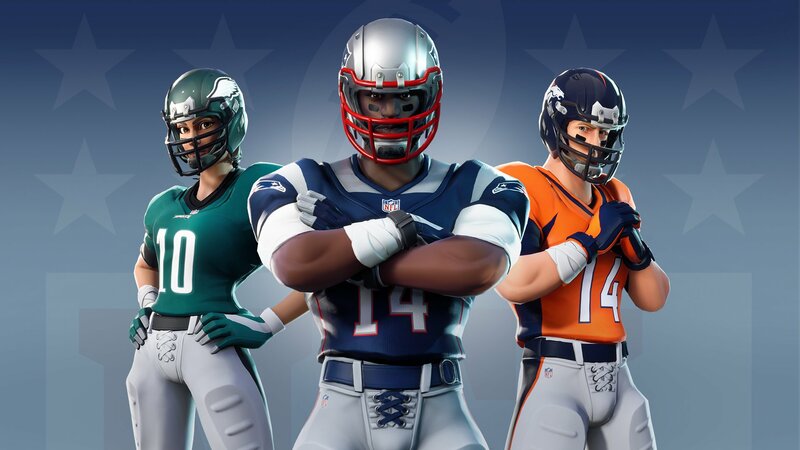 In addition to information about the Bumble, the latest v6.22 patch notes also indicate the availability of several new cosmetic items, many of which are based on the previously teased NFL uniforms. As reported by FortniteNews, these include the Strong Guard, Spike, Juke, Gridiron, Rush, and Interceptor outfits. Also are among the list are three robot-themed cosmetics, including the A.I.M. skin, E.L.I.M. backpack, and A.X.E pickaxe. We're still waiting to see what other changes Epic Games has in store now that the purple cube has exploded and left a curious (and, in a way, somber — RIP Kevin) void in its wake. Fortnite fans who missed the action should absolutely check out Shacknews' footage of last Sunday's events, the likes of which we've featured below. Things are always changing in Fortnite, and you can bet your bottom dollar that Shacknews will stay on top of the latest. Don't miss a beat — find all of our latest Fortnite news and guides over on Shacknews' Fortnite home page.